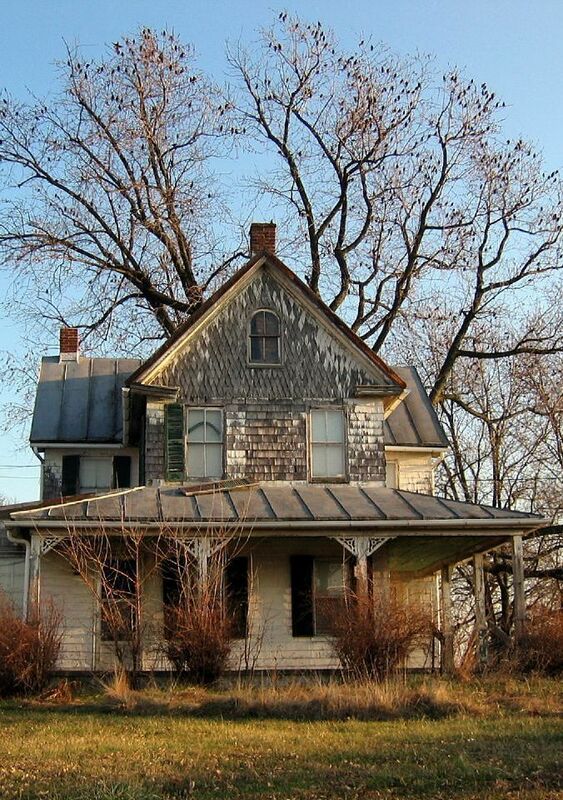 When you look at this old house, what comes to mind? Do you wonder what happened to the people who once lived here? Do you wonder why they abandoned their home? When we think about this dilapidated building a bit longer, it occurs to us that it may well represent something more. It could signify shattered dreams and dashed hopes. We can easily imagine a young couple surveying this site in some yesteryear talking about how it is the perfect place for their dream home. We can also imagine this same couple talking about the dreams they have for their future together, along with the exciting possibilities each of their children. Did they imagine themselves teaching their grandchildren how to fish in the pond down by the river out back? Why did this building fall into this state of disrepair? What caused the residents of this home to abandon their dreams which compelled them to make this house a home? Perhaps they didn’t lose their vision for the future. That is a possibility. Yet, the photograph does suggest the possibility that something happened. Something derailed them. Perhaps some tragedy overwhelmed them, robbing them of their imagined future. What could it have been? Why did was this home abandoned? In a sense this building represents the disappointments and dashed hopes that most of us have experienced. Some of our dreams were shattered. We’ve known stagnation and frustration in our careers. We’ve experienced trouble in relationships with the people who matter most in our lives. We’ve known the emptiness of hearts grown cold and spirits that have lost their sparkle. While our curiosity prompts us to wonder just what happened and why it happened, would it not be better to ask whether they were able to overcome? And, if they did, how did they overcome? This seems to be the central issue of our lives. When our dreams are shattered, how do we learn to dream again? How do we shape a positive vision for the future, when our house needs an extreme makeover? 1) Know whose you are— ever forget that is was Christ Jesus who took hold of you! Just as the Apostle says in verse 12: “…I press on to take hold of that for which Christ Jesus took hold of me.” And this was not after thought or spur of the moment whim. Jesus came to take hold of you in as part God’s eternal purpose. This was His plan before the earth was even formed. shape a positive vision for the future, begins and ends with Jesus. We learn to dream again by keeping our eyes on Jesus! May God help us all to do just this! ← Deep. Dark. Desperate… Depression. We were sure “in the moment” earlier today! Thank you for stopping by, Bob.